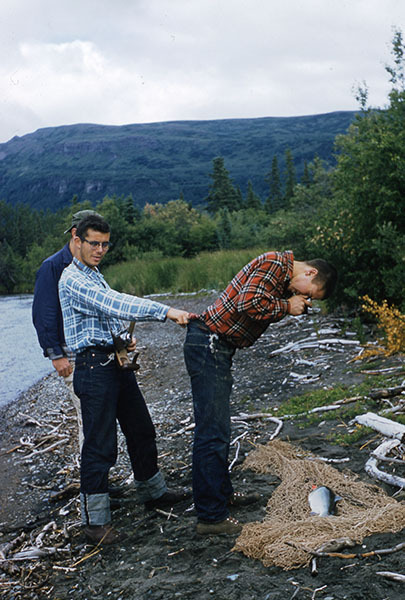 “One Fish, Two Fish, Red Fish, Brooks Fish” shows visitors how counting fish at the outlet of Brooks Lake helped develop the management methodology used to regulate one of the most important sockeye salmon fisheries in Alaska. Thanks in part to the scientist’s eye for detail, the composition of the photographs are compelling and engaging. 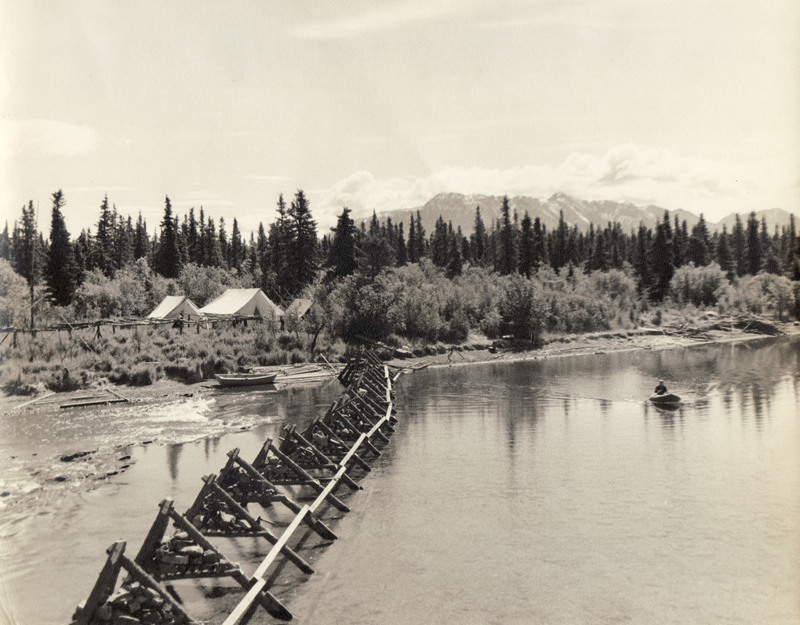 Most importantly, this exhibit underscores the conclusion that salmon-pursuing human beings have been an integral force that have profoundly shaped the salmon resource since the Brooks River formed nearly 4,500 years ago. Contrary to most salmon and people stories, the fish runs of Bristol Bay remain healthy, they serve as the ecological engines for an entire ecosystem, and support an industry that employs a high number of Alaskans. Simply put, this is a resource management story Alaska got right. Curators Kathryn Myers (Katmai National Park and Preserve) and Katherine Ringsmuth (Anchorage Museum, formerly Katmai National Park and Preserve) will give a curators’ talk as part of the Pratt Museum Annual Meeting: Tuesday, February 3 at 6pm. This exhibit is supported in part by Icicle Seafoods, Alaska State Council on the Arts, National Endowment for the Arts, and City of Homer. Developed in partnership with the National Park Service.